Postcards from Memphis, January 2015. All photos taken by B.J. Huchtemann, copyright 2015. May not be reused without permission and photo credit. 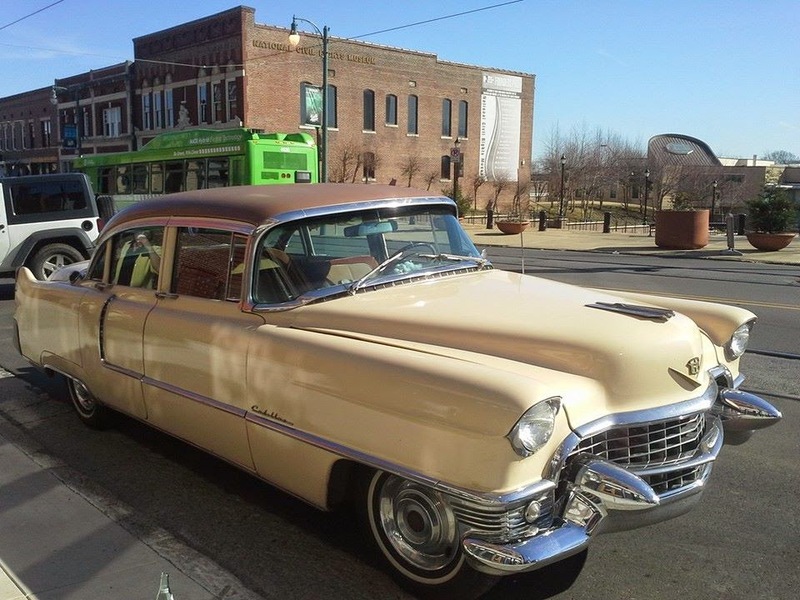 Above, Tad Pierson's 1955 Cadillac, the best way to see Memphis and have some one-of-a-kind experiences. 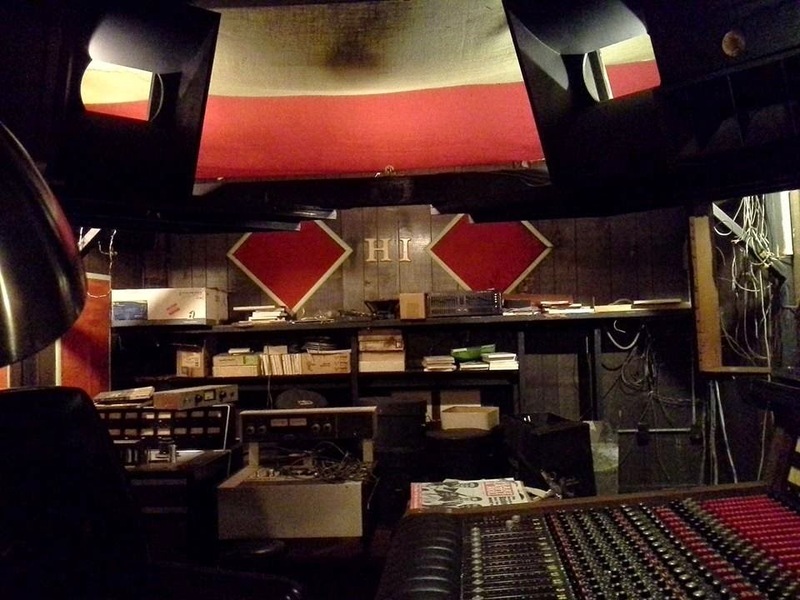 Below, the main studio at Royal Studios, Willie Mitchell's historic and still working studio that was the home of Hi Records, the place that Al Green and many notables recorded. It is still a working studio today. 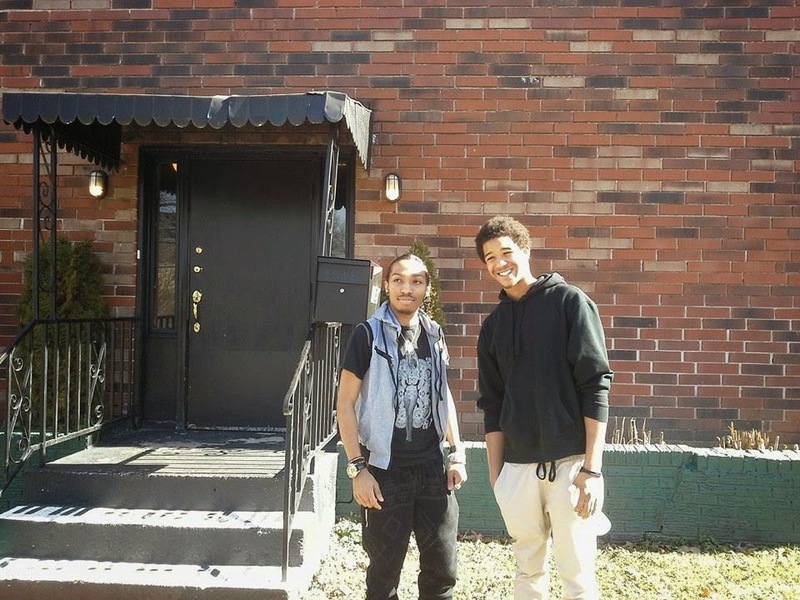 Thanks to Daniel Mitchell for inviting us in and giving us a personal tour. We serendipitously ended up being invited in and given this amazing tour, thanks to Daniel flagging down his (and now our) friend and tour guide Tad Pierson as we rolled by in his 1955 Cadillac. Note the pockets built in so that the players can see each other but the sound is somewhat isolated. 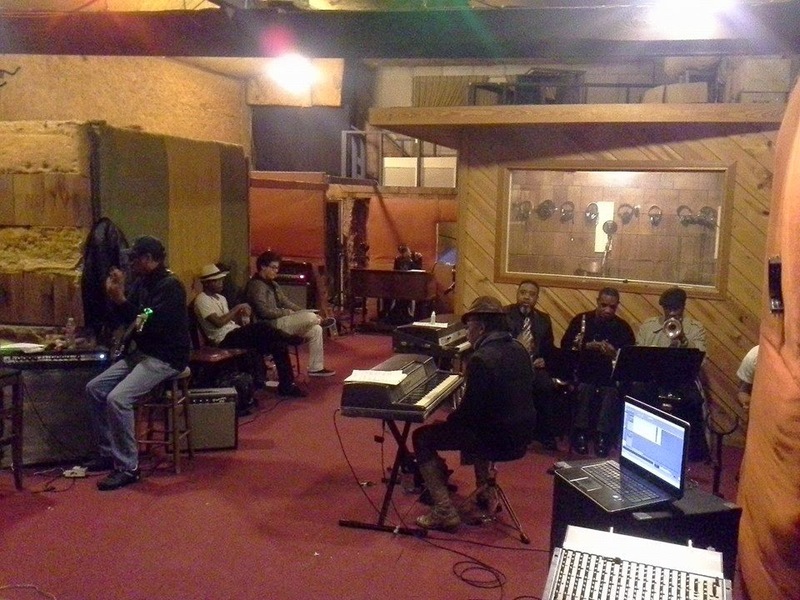 Charles Hodges, legendary session Hammond B3 man, on the big keyboard rig in the back. Legendary trumpet player Ben Cauley on the far right. Ben was an original member of the Bar Kays and was the only man to survive the plane crash that killed Otis Redding and the rest of the band. The instrumental players, a bunch of old session guys, were setting up at Royal to rehearse that day. 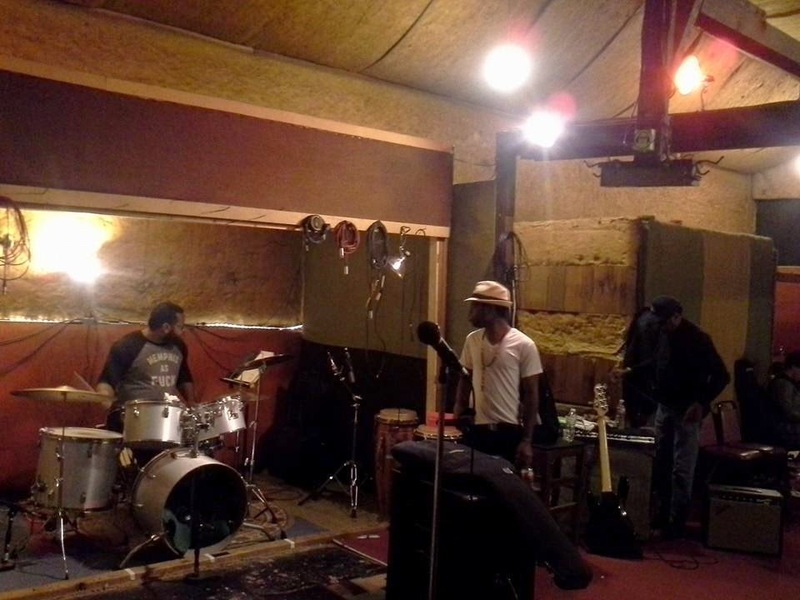 They were working under Boo Mitchell's direction to get the instrumentals down for their appearances at Sundance Film Festival backing some of the Memphis recording artists featured in the documentary film, Take Me To The River. See facebook.com/tmttrfilm. 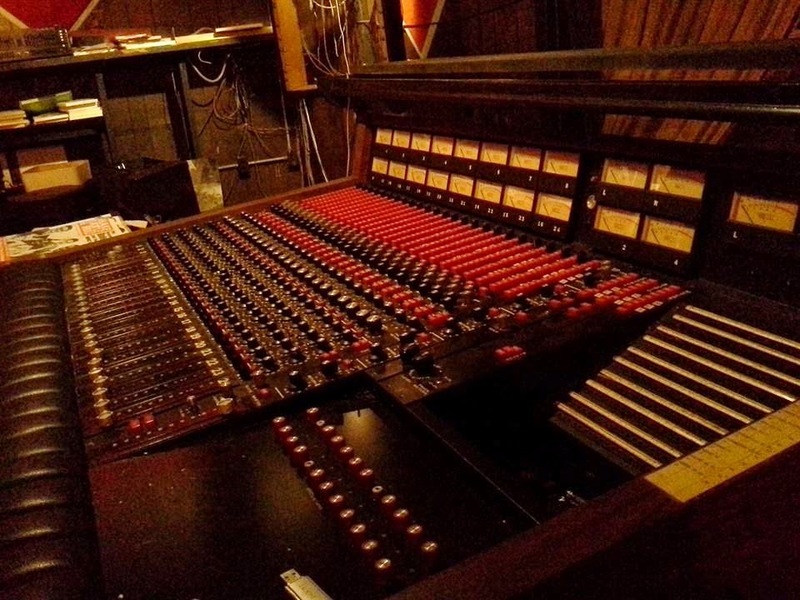 The downstairs board that faces out into the studio. HI Records sign behind the upstairs board. 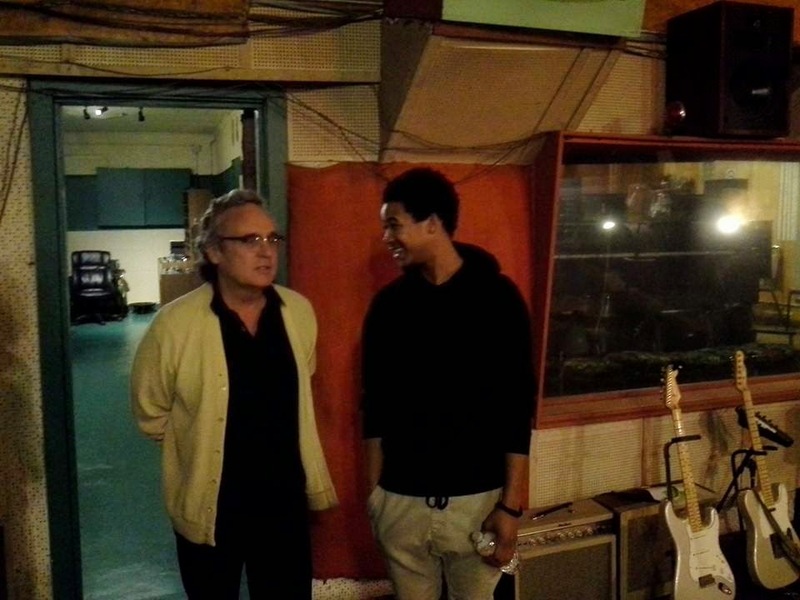 and showed us around his family's Royal Studios. 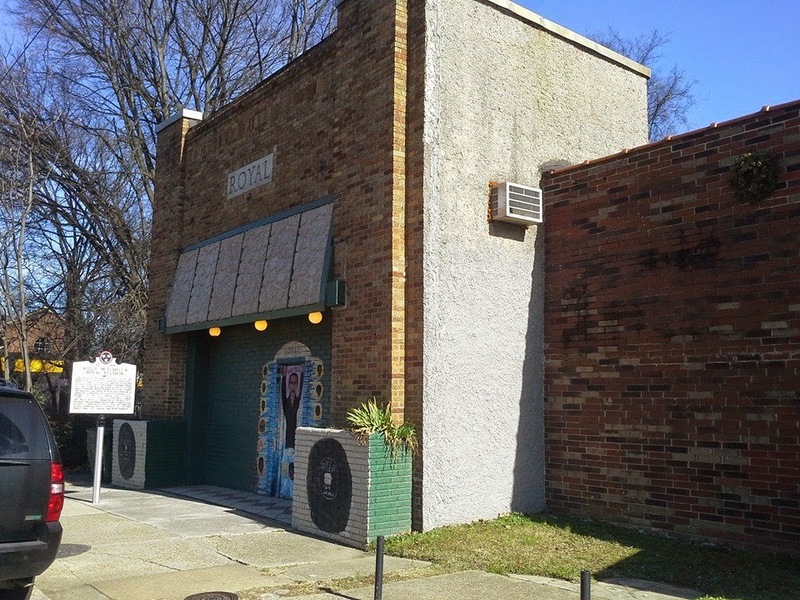 Exterior, Royal Studios, including a mural of Willie Mitchell on the old doorway (Note the Royal in stone up above) and their recently installed historical marker. 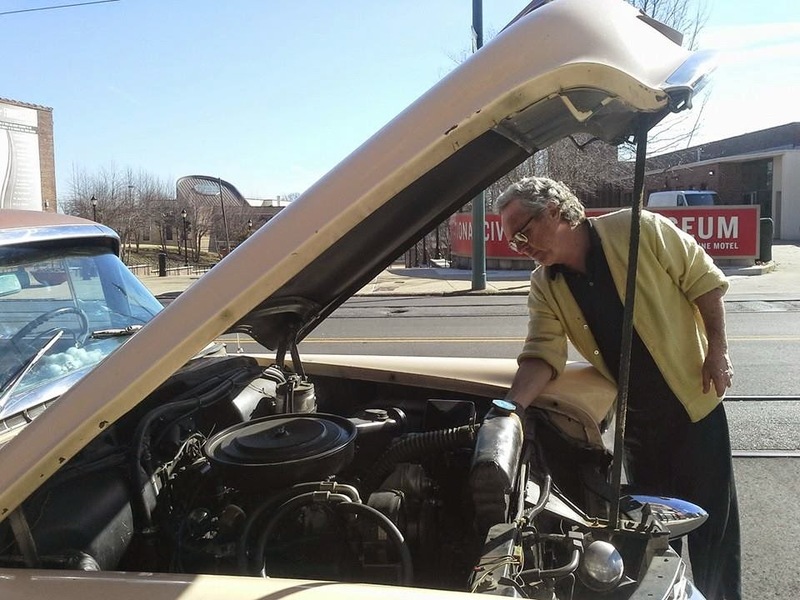 Tad stops to check a little rattle under the hood. Beautiful car, best tour guide of Memphis you could ask for. PO Box 3129, Memphis, Tenn.